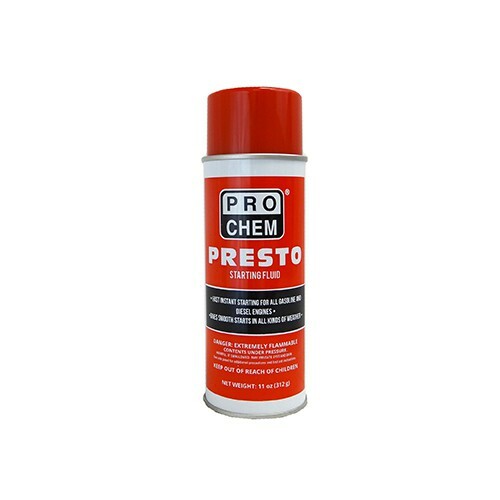 Presto | Pro Chem, Inc. This aerosol contains special potent ingredients designed to stimulate engines for quick starts in temperatures as cold as -65°F. It can be used on 2-cycle and 4-cycle engines, as well as both gasoline and diesel engines. Additional high-endurance lubricants also protect engines from corrosion while preserving batteries and ignition systems by minimizing crank time during start up. Spray into the air cleaner or carburetor for 2-3 seconds to start engine quickly in cold or wet weather.